Visitors to The Netherlands probably would never even think to visit Den Bosch. And that’s a shame. Because I can’t think of a single reason why Den Bosch shouldn’t be on your list to visit. Den Bosch is only 1 hour by train from Amsterdam and has lots to offer to keep your busy for at least two days. 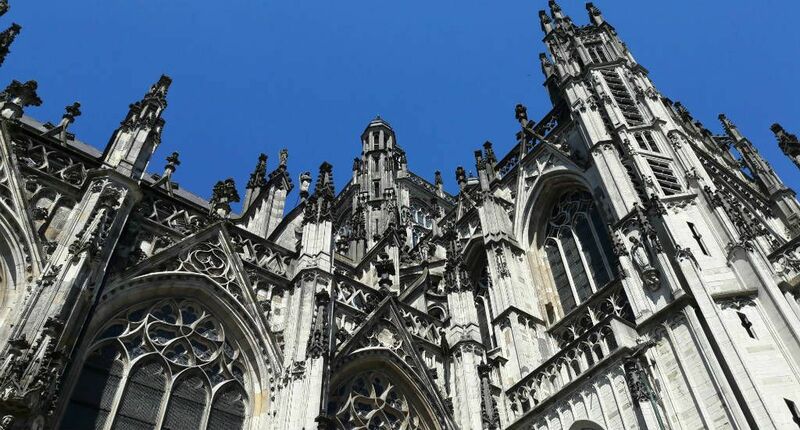 These are my top things to do in Den Bosch. 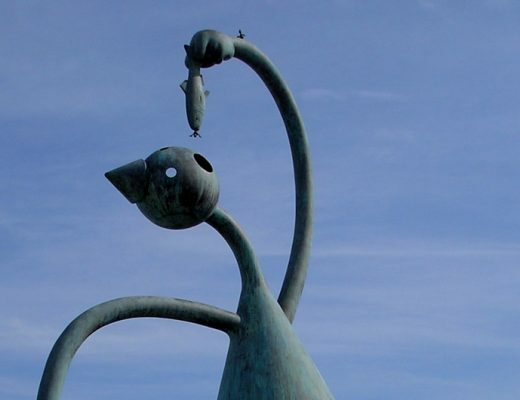 In the last decade, Den Bosch was voted the most hospitable city in The Netherlands 4 times in a row, and with reason. 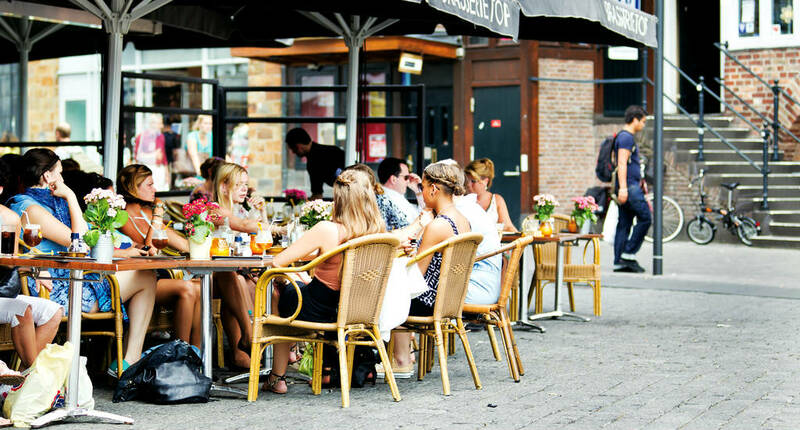 No matter when visiting Den Bosch, there’s always people coming together for a drink or a chat in one of the many cafés and bars in town. And the historical centre, with its gabled houses, grand squares and historical landmarks are best taken in just aimlessly wandering around. You simply can’t visit Den Bosch, without eating a Bosschebol. A what? A Bosschebol. And yes, eating it is easier (and tastier!) than trying to pronounce it. 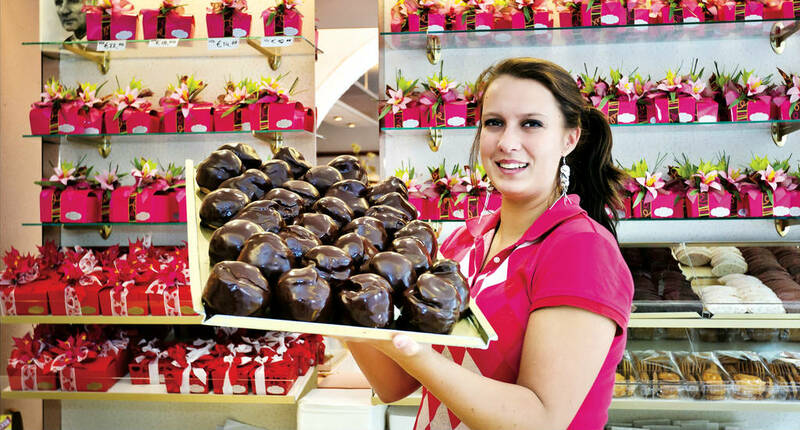 A Bosschebol is like a large profiterole: a big round pastry, filled with whipped cream and topped with dark chocolate. These pastries are sold all over Brabant, the province of which Den Bosch is the capital. But you get the real deal in Den Bosch at lunchroom Jan de Groot. Wherever you order this treat in the city, you can be sure that it was made at Jan de Groot. 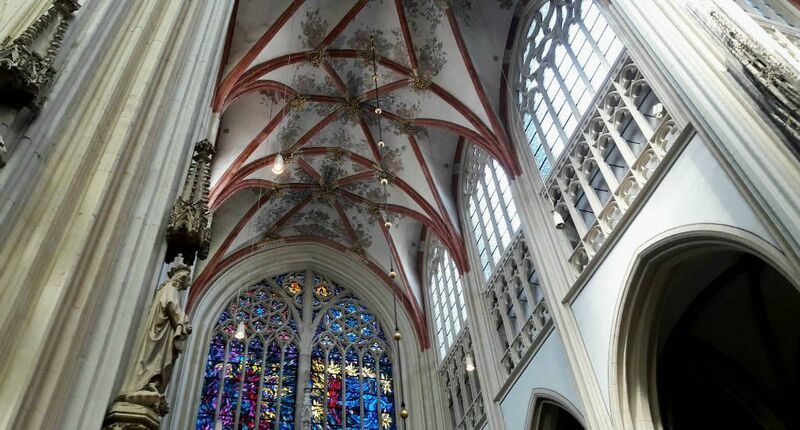 The St. Janskethadraal in Den Bosch is probably the most beautiful cathedral in The Netherlands (or so is my modest opinion). The build of this grand gothic structure started in the early 14th century and finished 250 years later. A couple of years ago the cathedral was completely renovated and some new and modern gargoyles and angel statues made their appearance, there is even one with a cell phone! The interior of the church is simply stunning, light with large stained glass windows and colourfully decorated ceilings. 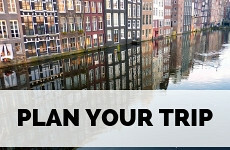 If you think that only Amsterdam has memorable canals, think again. 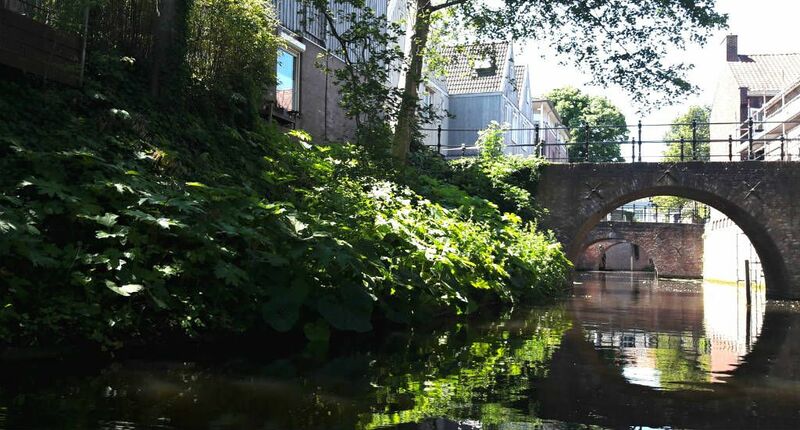 Personally, I think the canals of Utrecht are a lot prettier and tranquil than the Amsterdam ones. And since visiting Den Bosch, I can only recommend taking a canal tour here. 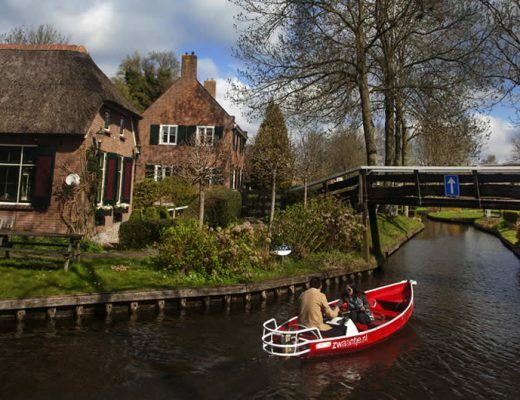 The tour takes you on a trip on the Binnendieze river, that flows behind and even underneath the sights of Den Bosch city centre. A original view of the city is guaranteed. The famous painter Hieronymus Bosch was born and raised in Den Bosch, making him the cities most famous son. His giant paintings, full of dark premonitions and diabolic creatures, are now displayed in museums all over the world. 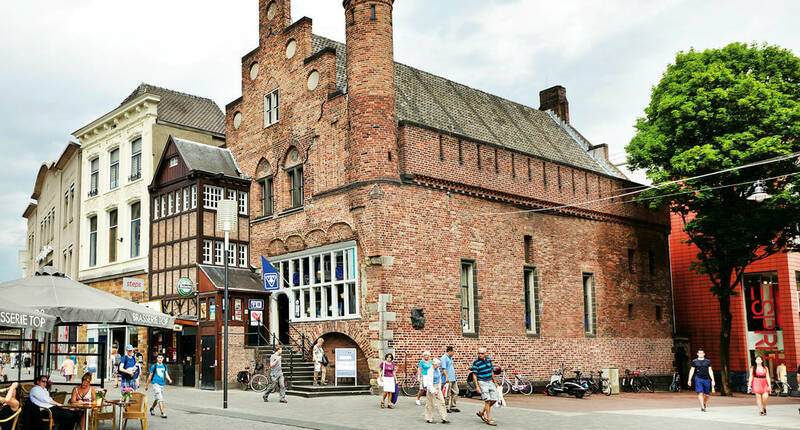 But visiting the Jheronimus Bosch Art Center gives you the opportunity to get up close and personal with life-size reproductions of all Bosch’ paintings and blow-ups of his creatures, enabling you to understand the masters work a little better. Don’t forget to climb the tower of the art centre, which is set in an old church, as from the top you will be treated to an amazing view over the city. 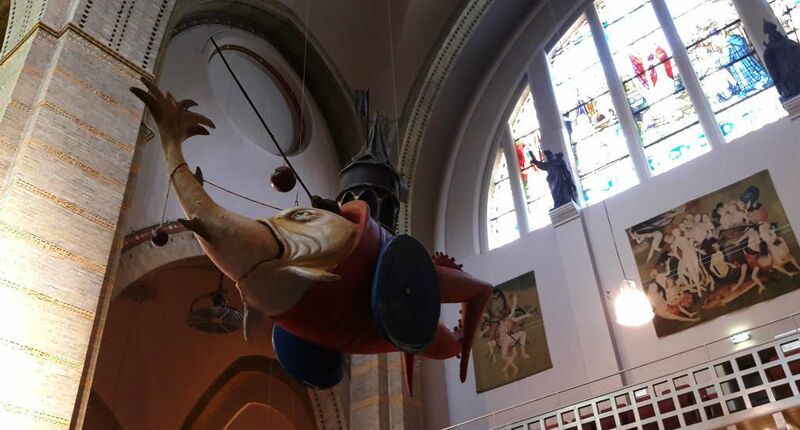 Read more in my article Follow the footsteps of Hieronymus Bosch. 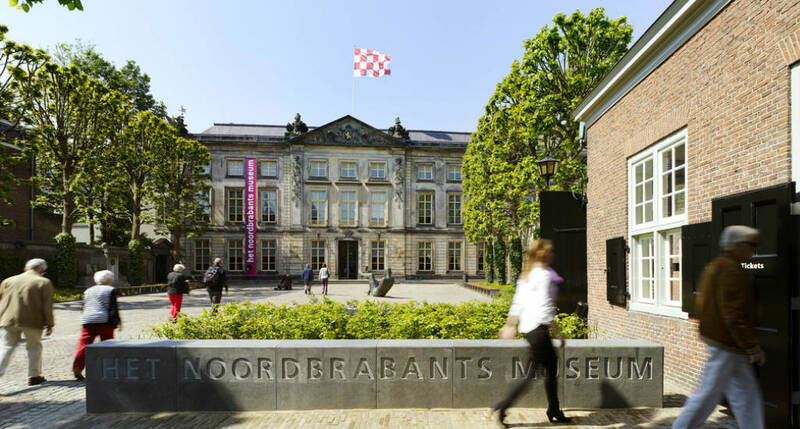 Set in a 18th-century former governor’s residence, the Noord-Brabants museum is an absolute must-see during your visit to Den Bosch. 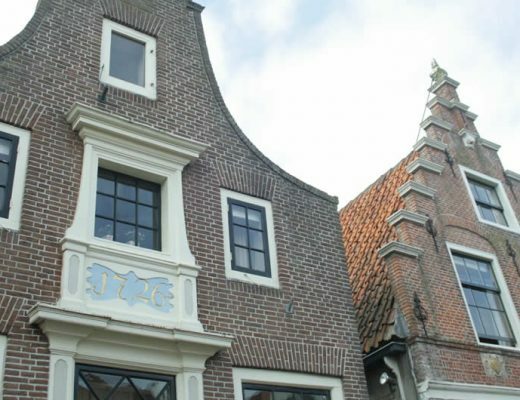 It exhibits an overview of the history of Brabant, with art pieces dating from the 1500’s to present-day. And an annexe hosts one of the largest exhibitions of Van Gogh’s paintings outside of Amsterdam. A small corridor leads to Stedelijk Museum for your dose of contemporary art. 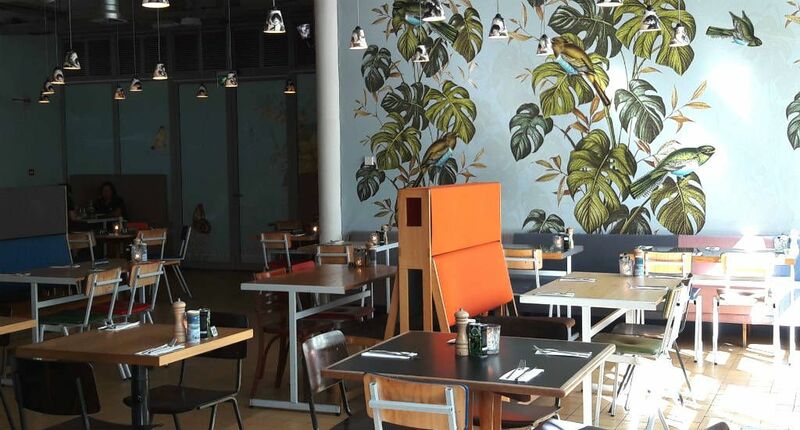 Honestly, there are tons of places to go to for lunch in Den Bosch. 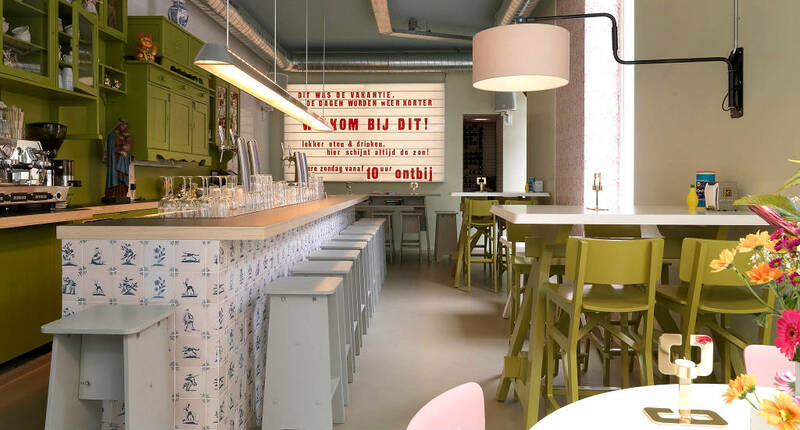 But Eetbar DIT is definitely my favourite place for lunch or drinks. First of all, DIT has a good sense of humour, as all the funny quotes (that change regularly) on the walls prove. The extensive menu offers a variety of sandwiches, soups, salads and warm dishes, as well as Dutch craft beers and juices. The menu is changed regularly and also holds a couple of pages with recommendations from the staff on what to go do and see in den Bosch. Like in every Dutch city, Den Bosch has its fair share of chain shops that are maybe not so interesting to you. However, there are lots and lots of fun independent shops and boutique in Vughterstraat (which is also a really pretty street, by the way) and you can spend ages here browsing for fun souvenirs. 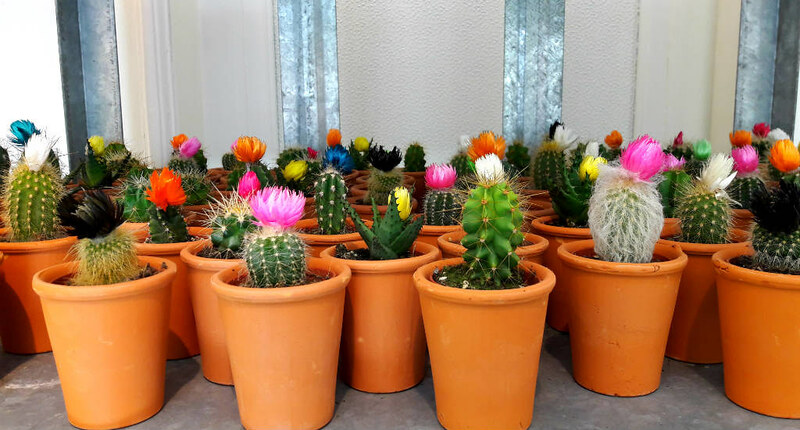 My favourite shop in Den Bosch is Koekwaus (a Dutch expression for being a little crazy) which sells everything from colourful cactii (aren’t they cute!) to fairtrade clothing. 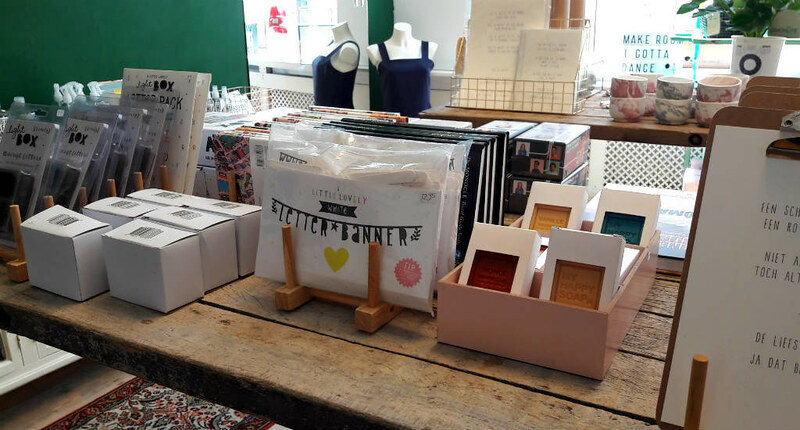 A little further up the road is Daily Poetry with gorgeous clothes, fine jewellery and homeware. Every Dutch person will get a Pavlov-like reaction when you say the word ‘Verkade’. We immediately start to drool, as Verkade reminds us of chocolate cookies. 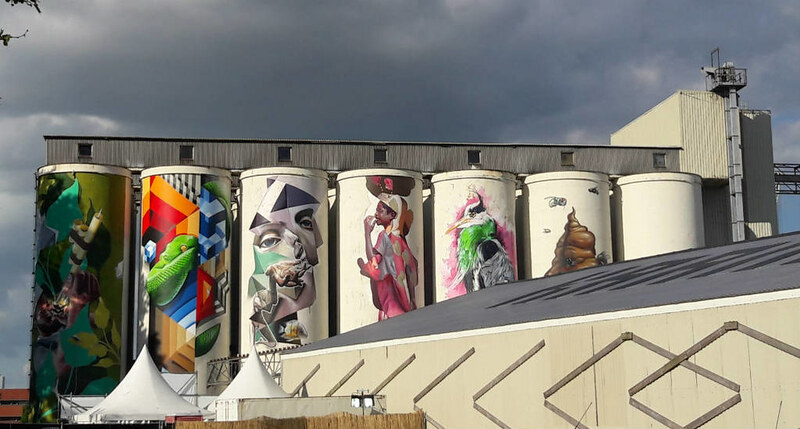 This factory in Den Bosch used to be the largest old cookie factory in The Netherlands, but after closing the factory has been turned into a cultural hotspot, including an art house cinema and large bar and restaurant, making Verkadefabriek an absolute favourite to spend an evening at. Bonus tip: you can also spot some street art just behind the old factory. 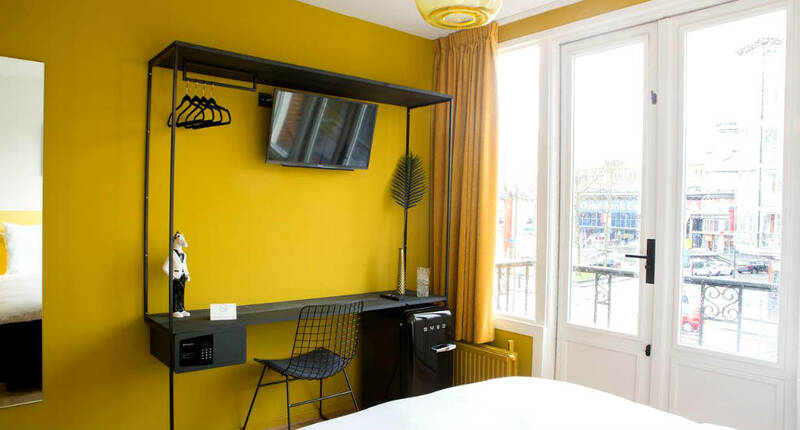 Until a couple of years ago staying the night in Den Bosch was a costly affair, but over the last couple of years a few cheaper and hip options have popped up over town. During my stay in Den Bosch, I spent the night at Little Duke. 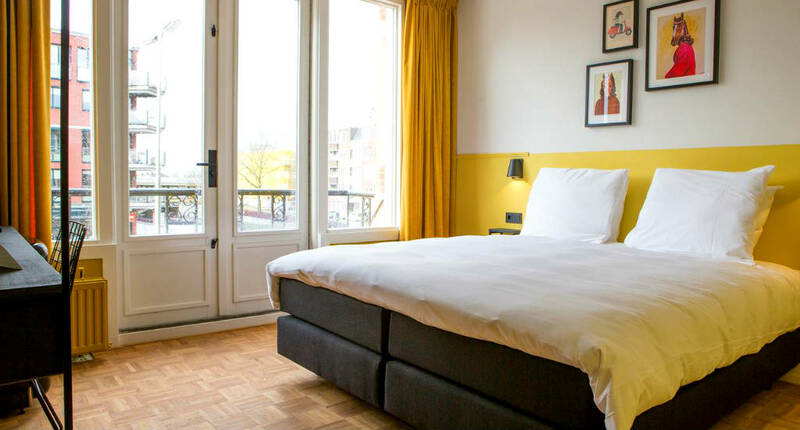 The location of this hotel is perfect: across from Den Bosch train station, a 5-minute stroll from the city centre and near a couple of really nice bars. When you book this hotel, you are sent a code with which you can check-in yourself. This may sound a little impersonal, but since the hotel is decorated so cosily with black and white photos from Den Bosch, you really don’t miss staff checking you in (and there’s a still a concierge on call if you need something). The rooms all have different sizes and are painted in bright Pantone colours. The décor is pretty clever, with a very good and comfortable bed, a desk, tv (with Netflix! ), a small SMEG fridge and some fun Dutch design items. In the morning you pop downstairs to Coffeelab for some amazing breakfast and the best coffee I’ve had in a while. 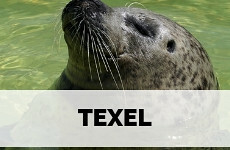 Check the lowest rates for Little Duke or deals on other hotels in Den Bosch. Wow! This place seems like a real hidden gem and I am adding it to my bucket list, Esther. How many days would be enough to explore it? 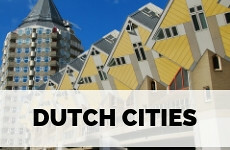 I love learning about these Dutch cities I haven’t heard of. What a beautiful city and it offers so much for visitors. You had me at those delicious photos of Bosschebol. 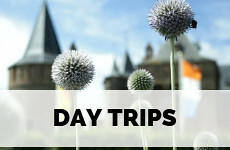 This looks like a great day trip from Amsterdam. 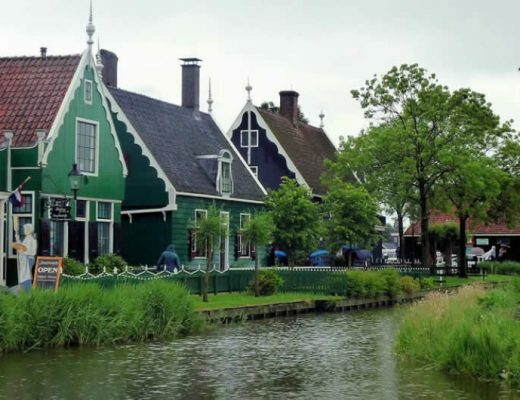 Another adorable Dutch town! And the fact that it’s so close to Amsterdam definitely make it an appealing day trip!! Thanks for linking up with #TheWeeklyPostcard! True Lolo! But honestly, most places are really close to Amsterdam, so that’s why I hope more visitors will venture outside the capital when they come to visit. 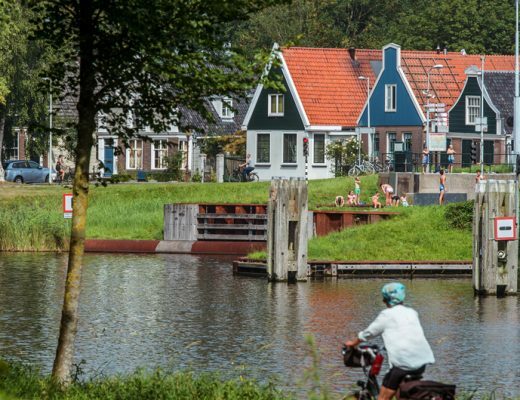 The country is just so much more than just Amsterdam! Yay, what a lovely comment! I hope you’re able to explore some new places when you come over! Den Bosch is so, so lovely. I really wish more foreigners would get to know it. That’s the right reaction to have to a Bosschebol! Thanks for introducing me to this beautiful town. I am ashamed to confess, but I haven’t even heard of Den Bosch. Sounds like a short distance from Amsterdam too, which is great. I’m planning to visit Amsterdam next spring. Oh excellent! 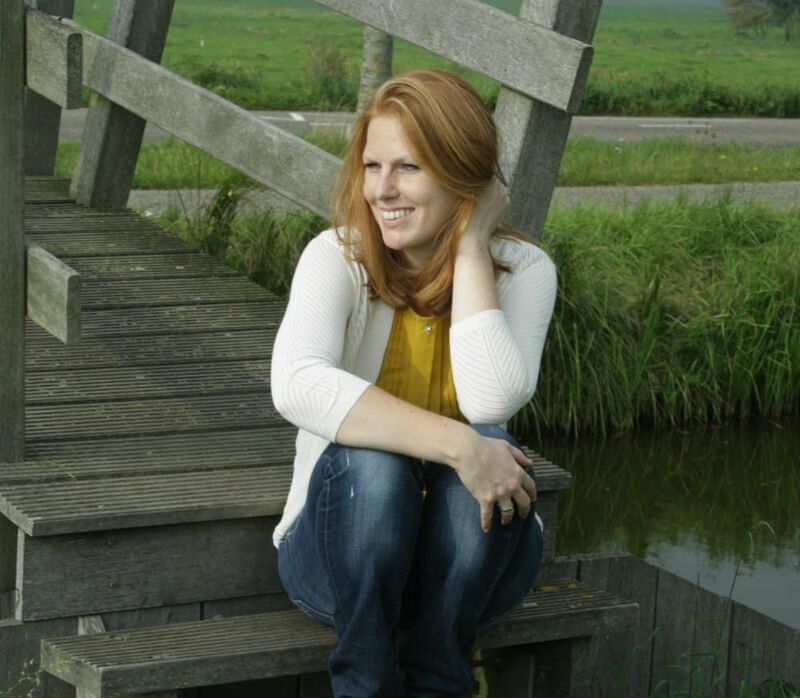 I hope you will have time to see more of the country than just Amsterdam! I’d have to go for 2 days, just so I could sleep over in that hotel! What a fabulous place to visit! Ah yes, I think you should. It’s a great part of The Netherlands to visit! What an amazing selection of things to do! Den Bosch really does look like a great city and it sounds so easily accessible as it’s so close to Amsterdam! I’ve never heard of it before. I have heard a lot about this town this year. Seems like it is gaining more and more notoriety. That pastry looks really good. AL the hip accents around town look nice. Now, I want to visit! 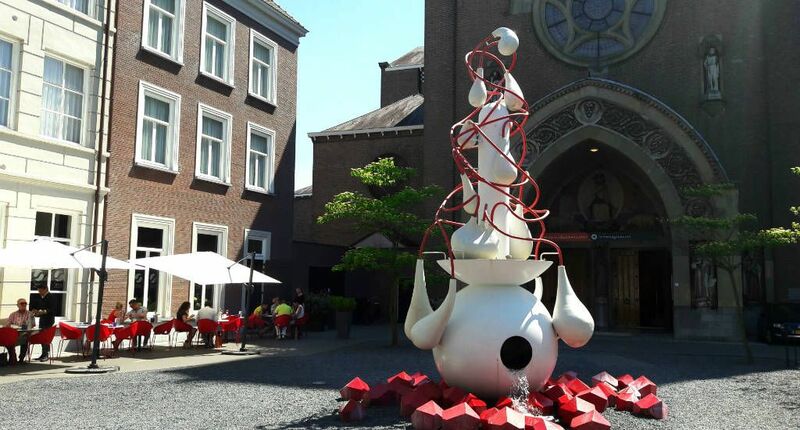 I don’t know why (as we Dutch know that Den Bosch is a cool city), but all the modern and hip features in combination with the beautiful history also happily surprised me! I really love the way you show off the culture and beauty of all the other great places to visit besides Amsterdam, Esther. Den Bosch sounds like it would make a great weekend break. Don’t get me wrong, I really like Amsterdam. But I always feel like it’s such a pity that all the other amazing places in The Netherlands get overlooked. They deserve a little spot in the sun! Another fascinating post, Esther. Den Bosch ticks so many boxes (or should that be bosches?? 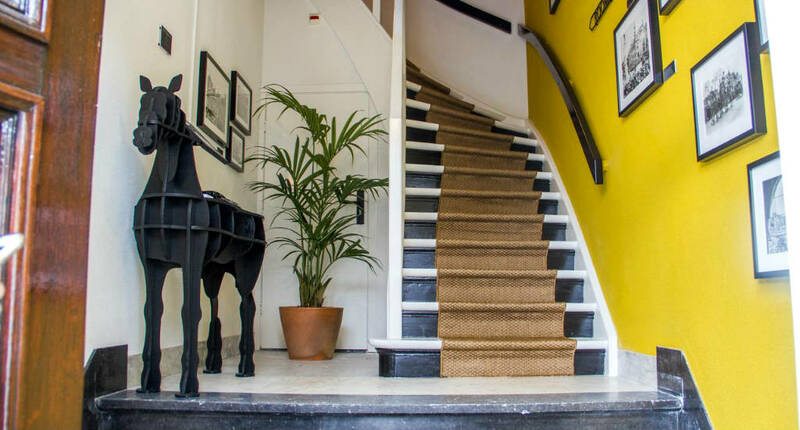 )- the links with a famous artist, its own chocolate pastry, a renovated cathedral, great places to eat and stay plus it looks super for a canal tour. Thanks for the recommendation. I am saving this for our trip to Holland next year. Thanks. What a lovely city! 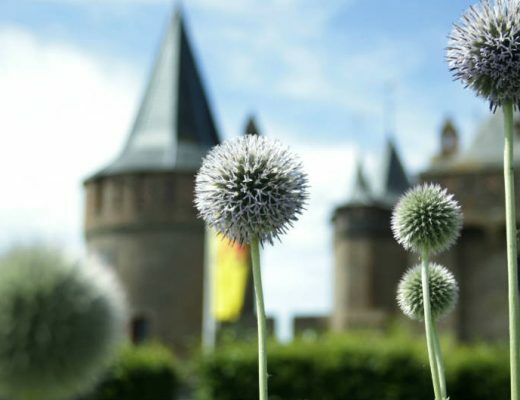 I’m definitely going to add visit Den Bosch and eat a Bosschebol to my wander list! Great post! So… was the painter named after the city or the city named after the painter? 😉 Den Bosch looks like a lovely destination for a relaxed weekend getaway – love it! Ha! I actually know the answer to that. Until Napoleon times people in Western Europe didn’t have a last name, so people were often named after either where they lived or who was their father (that’s why Leonardo was Da Vinci ‘of Vinci’). Same goes for Hieronymus Bosch!